I designed the cover of Michelle MacKinnon's award winning book "Escape From Eden". 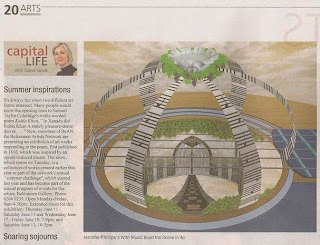 My art work "With Music Build The Dome In Air" was featured in the Canberra Times Panorama section. The art work is one of two I did for the BeAn Kubla Khan exhibition.